A lotta people knock McDonalds but personally I've always enjoyed the experience and I've never read 'Fast Food Nation' or seen 'Supersize Me' so I don't have strong views on McDonalds the corporation, etc. I do know that they're fast and I've always found the staff in the Castlebar branch to be very friendly and on my most recent visit I was delighted to receive a voucher for free wireless broadband access. 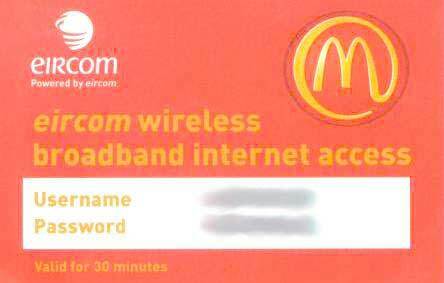 It's amazing that even within the 094 dialing code the Eircom website will tell you that you can't upgrade your home phone line to a broadband connection but you can get free wireless broadband over in the McDonalds on the ring road. 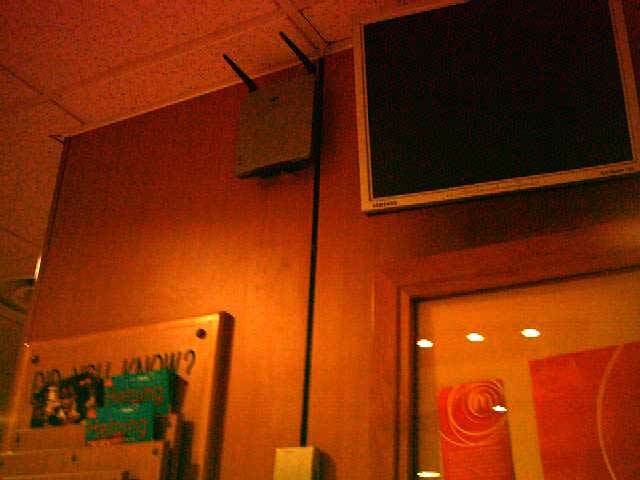 Anyway the wireless signal seems to work just as well in the car park as inside McDonalds so if you're fortunate to receive a voucher you can surf the web without any of the hassle or expense of getting a modem connected up to a laptop or PDA (handheld computer). Pendant Awareness Week � 8th to 15th December.